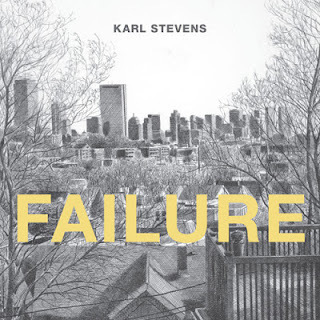 I got a chance to read Karl Stevens' latest book, Failure. It's a collection of the last strips Stevens did for the The Boston Phoenix, a gig he worked on from 2005 until late 2012. His strip was axed in November, and he the entire paper closed its doors a few months later. just as this collection was originally scheduled to get published. So Stevens and publisher Alternative Comics did some last minute re-jiggering include some final details and notes about the full story. Or, at least, as much of the full story that Stevens knows. 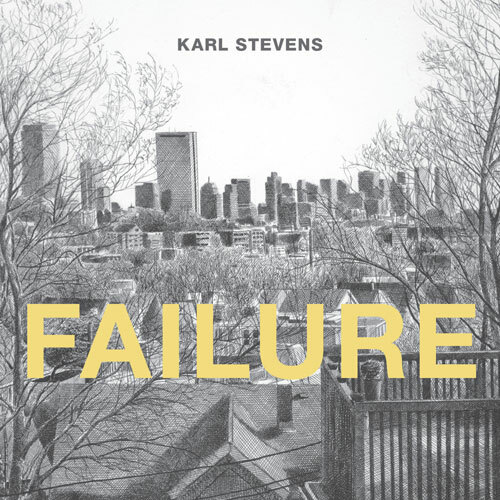 Stevens' strip at this point in its life esd loosely autobiographic with regular forays into imagined futures and surreal dreams. The strips themselves are self-contained, so it's easy to pick up and drop off anywhere in the book; although the introduction strip presents the context in which Stevens wrote this, so it's beneficial to start there. The artwork is fantastic, especially considering Stevens kept this up as a weekly for seven years! Though the techniques he applieson any given strip may vary -- from simple linework to watercolors to heavy cross-hatching -- Stevens appears to be comfortable in all forms of printable visual media. And his attention to detail on his figures and backgrounds is impecible -- it's almost impossible to imagine him not having photo references for each and every image. And what's particulaly fascinating is when he depicts discussion with one of his artistic models while he's drawing them because he portrays both the individual and the drawing he does of her (they're always female) side by side. The writing on the strips ranges from clever to mundane to esoteric to desperate to... well, anything. Some strips are clearly drawn directly from real-life conversations he's had, while others are obviously fictional. But at either end, or anywhere in between, the dialogue sounds smooth and natural, so whatever point Stevens is trying to achieve in any given strip flows naturally from the characters' mouths. There's no cohesive or even over-arching narrative, so it's not a book for everybody. But check out the "Look Inside" piece over at Amazon, and see if that doesn't spark your interest. Not every strop he's done is featured, of course, but if provides a good taste of what you can expect the whole book to be like.